Have Formula One's new riches come at a cost? 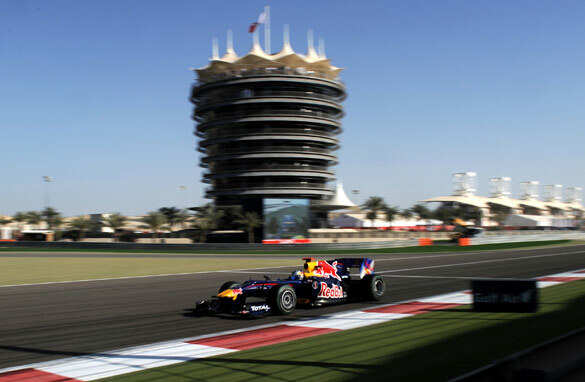 Bahrain's withdrawal has presented Formula One with a dilemma. So, the Formula One season will now start in Melbourne, Australia, on March 27th. As Red Bull's Aussie driver Mark Webber put it: "Back to the good old days." Australia has become used to kicking off the annual Formula One circus since 1996, but the emergence of a new track in Bahrain, whose backers have seemingly bottomless pockets, changed all that. Having invested an estimated $200 million in building the Bahrain International Circuit at Sakhir, the island Kingdom staged its first Grand Prix in 2004, hosting the season-opener in 2006 and again last year. The right to stage a race costs them around $40 million, it's roughly another $20 million to guarantee that it’s the first of the year and that's on top of the $50 million the BIC is believed to have invested making improvements to the track since last March. For Bahrain, Formula One is a shop-window to the world and the right to host such a glamorous sporting event is the cornerstone of its marketing strategy. For Formula One, it's easy money. But, having accepted all of Bahrain's riches, F1 is perhaps learning that there is also a cost. Racing there in March would not have been good for PR; not doing so could prove just as big a headache. The race could have become a magnet for anti-government demonstrators seeking a global audience and it would have been seen as endorsing a regime that – to many – now has innocent blood on its hands. But the sport's supremo Bernie Ecclestone was spared having to make that decision by Bahrain's Crown Prince, who said the country's "entire attention is focused on building a new national dialogue for Bahrain." Formula One's sponsors and broadcasters have signed up to 20 races in 2011, and there is surely so much more to be discussed in the coming days. Will the sport revisit Bahrain this year and if so, how and when? If not, there may be a long line of corporations demanding a 5% refund on their 2011 investment. F1 has just enjoyed one of its most exciting seasons ever and is in the midst of an aggressive global expansion. The sport's traditional heartland in Europe is gradually making way for the riches offered by emerging markets. Asia and the Middle East have become players within the last decade, India takes a bow this season and soon it will be Russia's turn. But the sport is now stretched to the limit. 2011 was to have been the busiest F1 season ever and team bosses were already saying that 20 races were enough. To accommodate these new venues – a track is being constructed in Texas to lure the Ferraris and the Red Bulls back to the USA – some will inevitably have to be retired. Bahrain could well find itself out of favor with a sport that is becoming ever more sensitive to its own public image. The 2011 F1 season is one of the most eagerly anticipated there ever has been, waiting another two weeks for it to start will only heighten the anticipation. But it remains to be seen what kind of future Bahrain will play in the sport. Bahrain is such a boring track, with all 10 of the spectators there is no life or feel to it. If they want to use that track they should just use it is a lead up to the real F1 races, a weekend of just shorter races for drivers to just have some fun test out their cars because as a race track all it is is someone with way to much money and no taste. Unfortunately Melbourne will the first to go, it is already on the chopping block with our Mayor not wanting to flip the cost for it anymore after 2015 contract expires. As a follower of F1 for over 40 years I am just disappointed that it was not the sport itself FIA or the F1 organization that canceled the event after unarmed demonstrators were gunned down in cold blood. Much as I love motor-sport I do not believe it is worth one drop of blood and certainly a nation that treats its citizens in such a way deserves not our sporting support but our utter condemnation. I visited the Bahrain F1 for the last 3 years. The first time the organization and specially the activities for the visitors were already perfect. Every year they managed to improve and make a visit to the Bahrain more a great weekend out for adults, kids, families. I sincerely hope that in 2012 Bahrain is on the list again. Shame, in all honesty I was really looking forward to F1 this year. miserable culprits ] into a financial money maker, and is now far from the enjoyable sport it once was. result of the lupanar we all "enjoy". What is F1? Honestly, F1 is about racing. But the "circus" have been made to a giant money making industry dictated by Mr. Ecclestone. He have no scrouples dealing with regimes that has a douptles approche towards human rights. I dont have specifk insight in Bahrain internal affairs, but what I have been watching over the couple of days is a bit alarming. I think that Mr. Ecclestone has to come to sence. There are many very very amazing tracks around the globe that can host F1 GP´s and those tracks is in countries that respects UN´s charter of human rights. If Mr. Ecclestone get his will, we will see that venues like Spa (the best in the world), Suzuka, Silverstone, Monza beeing replaced by new computer designed circuits. That was never the intention by the peoples who made F1 back then. It is all about racing in the right enviorment. and have Camel races round the F1 Track!! Arie, what did it cost you to take your kids there? one of the worst tracks ever built,a disgrace to F1 that track really. You ought to actually take into consideration working on developing this blog into a significant authority on this market. You evidently have a grasp deal with of the subjects everyone is looking for on this web site anyhow and you possibly can certainly even earn a buck or two off of some advertisements. I might discover following recent matters and elevating the quantity of write ups you set up and I guarantee you’d begin seeing some wonderful targeted site visitors in the close to future. Only a thought, good luck in no matter you do!